Looker – loudlatinlaughing – Euge! Euge! After I finish a book I barely tolerated, I’m soothed by discovering via mediocre reviews online that I am not alone. 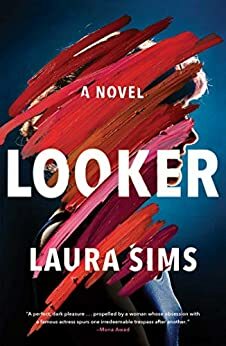 My nitpicks are not the same as everyone else’s—I don’t mind a somewhat plotless yet well-written book with no backstory whose main character is a mentally ill woman. Mostly I wasn’t in the mood for a character whose whole life goes down the tubes once her husband leaves her (see: mental illness) and who obsesses about not being able to have children (yawn). This character goes nuts on her famous actress neighbor in Manhattan, stealing her child’s bike and squirreling away her boxes of free stuff left on the curb only to stage a bizarre installation in her garden late at night of all the stolen loot. I think she attacks the actress at the end? The narrator is also caught up in a sexual harassment accusation at the night school she teaches at after sleeping with a student. Skip it.